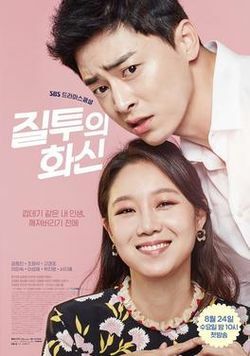 Weather caster Pyo Na Ri (Gong Hyo Jin) and news anchor Lee Hwa Shin (Jo Jung Suk) are long-time colleagues at SBC broadcasting station. Pyo Na Ri has had a crush on Lee Hwa Shin three years ago but things change when she meets the perfect man Go Jung Won (Go Kyung Pyo), a chaebol heir and close friend of Lee Hwa Shin. Meanwhile, Sung Sook (Lee Mi Sook) and Ja Young (Park Ji Young), who are rivals in both love and career, gets entangled with Kim Rak (Lee Sung Jae), a restaurant owner and landlord of the building where Pyo Na Ri lives. The most bizarre drama I ever encountered. From the description alone you can’t possibly expect how this drama unfolds. I liked it though, despite it’s bizarreness, it portrays some problems in society that’s not being mentioned. This drama might be a way to direct some awareness into the situation. I loved all the characters, except one. I’m not a big feminist or anything, but the way Pyo Na Ri was portrayed, was really pathetic for us woman, I really didn’t enjoy that part, more likely on the verge of uncomfortable. However, I more than enjoyed the fight between the two male leads and their childish jealousy. This drama made me laugh so much I felt like I was watching a variety. All in all, a really weird, different, all-around hilarious, and thought provoking drama.